Salman Khan and Sanjay Leela Bhansali are a super-hit combo of Bollywood. The duo has delivered two magical films in the past - Khamoshi: The Musical and Hum Dil De Chuke Sanam. In Saawariya, the actor had a cameo role in it. So Inshallah is ideally going to be the actor’s third movie with ace filmmaker. And the expectation from fans are quite high. During a recent media interaction, Salman Khan revealed what would have happened if he had not given a nod to Sanjay Leela Bhansali’s film. Inshallah Actress Alia Bhatt Talks About Working With the Superhit Duo Salman Khan and Sanjay Leela Bhansali (Watch Video). It is after two decades that Salman Khan and Sanjay Leela Bhansali are coming together. The biggest surprise was when the makers of the film confirmed that Alia Bhatt has been roped in as the lead actress. This is the first time that we’ll get to watch Salman and Alia sharing screen space and we really can’t wait to see the duo’s chemistry on the big screens. So coming back to what would have happened if Salman rejected the film. Salman revealed had he said a no, the director would have never made this film, reports Bollywood Hungama. Eid 2020: Salman Khan's 'Inshallah' Set To Clash With Akshay Kumar's 'Sooryavanshi'. 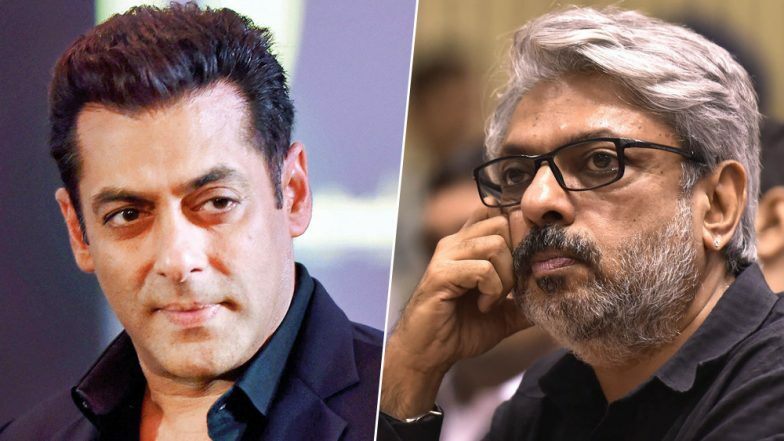 The report mentions that when Sanjay Leela Bhansali came to meet Salman Khan with the script, the filmmaker said if Salman says a no, he’ll never make Inshallah. And after listening to the eternal love story, Salman Khan could not say a no to it and instantly agreed to get on-board. Salman will start shooting for Dabangg 3 in April. As soon as he completes shooting for it, the handsome hunk will begin with the shoot of Inshallah. Stay tuned for further updates. Dear Comrade Actress Rashmika Mandanna to Mark her Bollywood Debut with Randeep Hooda in Sanjay Leela Bhansali's Next?